Shore diving is a great way to enjoy the underwater world on your own schedule. 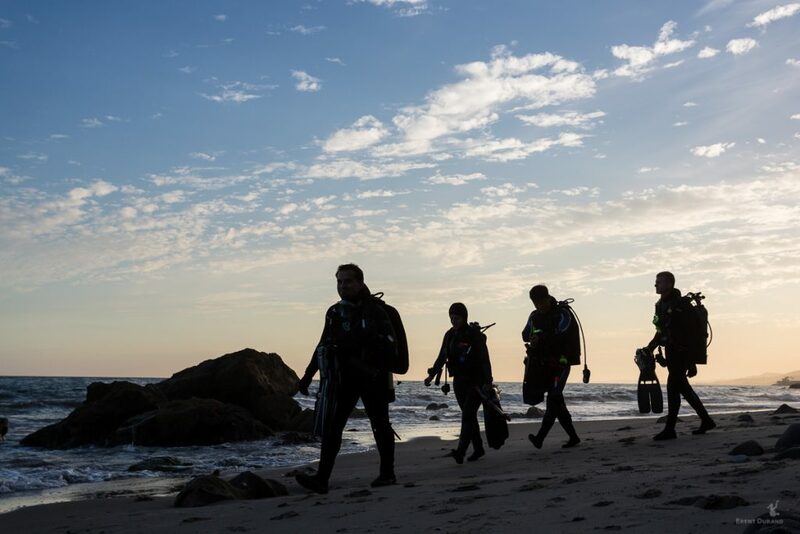 Simply drive to the dive site, gear up with your buddy and then stroll into the water. In fact, you could plan a morning dive and be ready to meet friends for brunch. 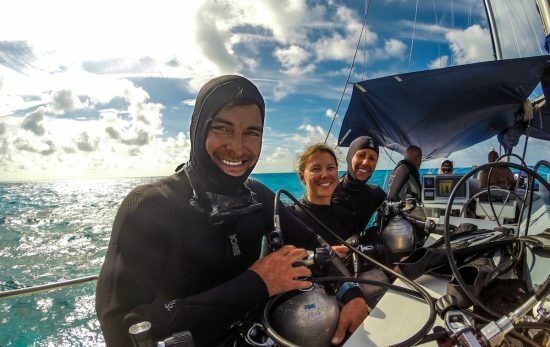 Alternatively, you could decide to meet for a dive after work to check out all the nocturnal critters, when there are likely no charter boats available. I tend to stay shallow which provides great opportunities for photos and the benefit of a longer bottom time for me. 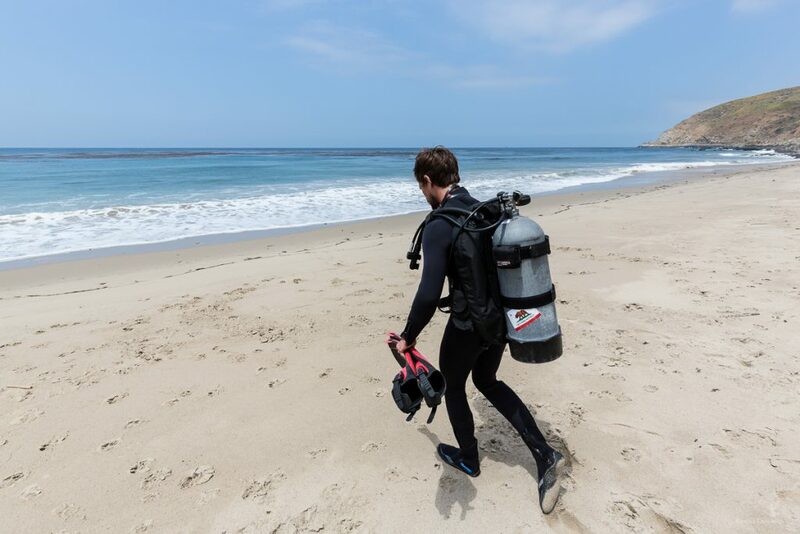 Here are a few tips to help get you on your way to some great California shore diving. 1) Check the surf forecast. 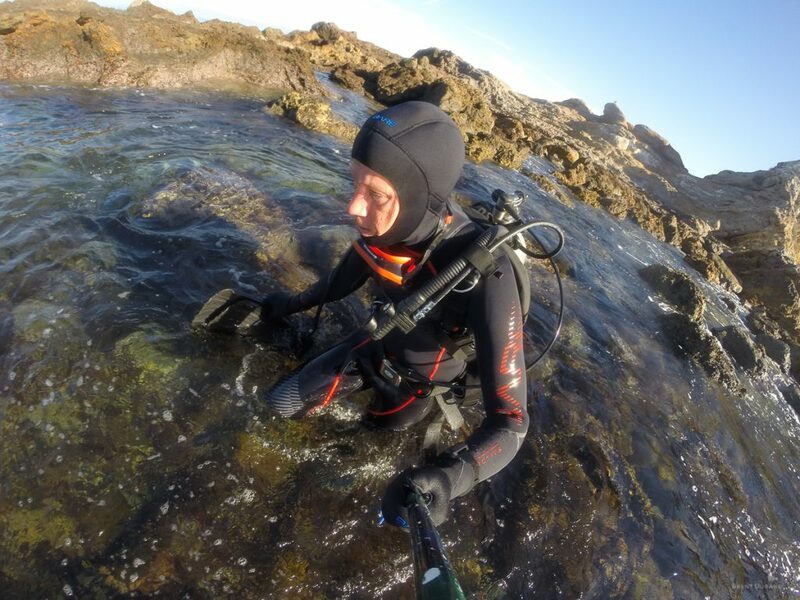 Surf, tides and wind all affect visibility while shore diving. This is important, but nothing comes before safety. Large surf makes entries hazardous, so be sure that the nearshore surf is lower than waist-high. Websites like Surfline, Swellwatch, MagicSeaWeed and local lifeguard reports are great resources. The less surf, the better the diving potential! 2) Carefully select entry & exit points. The goal is to find the safest, easiest way to enter and exit the water. A sandy area is best, as cobbles and mossy rocks can be very slippery. Low tide might also expose more rocks, turning an easy high-tide entry into a rocky scramble. If the entry is exposed to surf, it’s important to spend a few minutes watching the waves so that you can time your entry (and exit) with the interval between larger sets of waves. Upon surfacing, you should also spend a few minutes floating to ensure you exit during one of these lulls between sets. Your BCD should always be inflated prior to entering the water. 3) Keep gear secure. 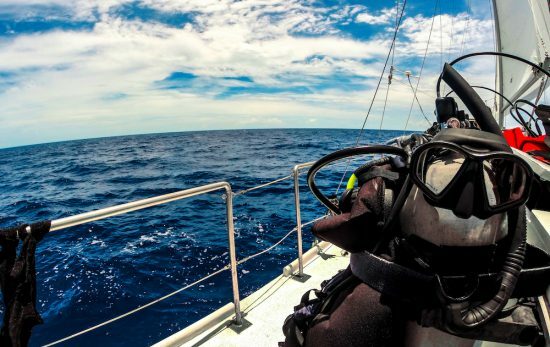 Beach divers are notorious for losing expensive gear. You can greatly reduce risk of losing something by keeping it secure and attached. For example, don’t enter the water with mask around your forehead – enter the water ready to dive, mask on and regulator in your mouth. Fins should always be donned in chest-deep water (where you lose efficiency with your feet) while facing the beach. This allows you to break any waves and immediately kick out past the surf zone. 4) Wear hard-soled booties. These will help to walk across uneven terrain and rocks with heavy scuba gear while also reducing foot fatigue during long kicks to and from the reef. 5) Bring a warm water jug during winter and spring months when the water is coldest. Trust me, you’ll really appreciate pouring warm fresh water down your wetsuit after the dive! You can keep the water warm in the car by wrapping the jug in a towel and/or old wetsuit neoprene while you dive. Brent Durand is a professional writer and photographer. Follow his adventures at BrentDurand.com.